The old city of Riga is the largest city in Latvia; it is also the capital city of the country. This city is one of the largest in Europe and currently over one-third of the population of Latvia reside here. Riga was founded in the year 1201, and its historical center has been named as one of the UNESCO world heritage sites. 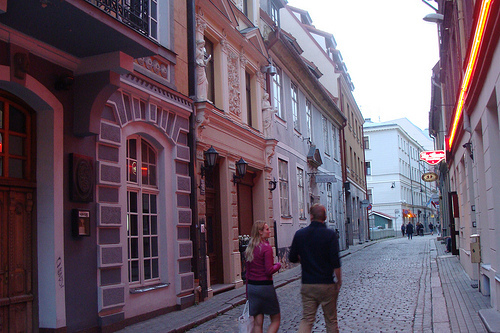 Exploring Riga is easy, from the main Riga international airport; you can find your way through the 19th century architecture and the medieval homes that adorn the city. You can use the European Route-E22 that runs from the east of the city to the west, and also arrive via the Baltic Route, which crosses the city from the north to the south. According to the 2011 census, 46.33% of the population of Riga is composed of local Latvians, while Russians make up about 40%. Ukrainians, Belarusians, Lithuanians, and Poles make up the minority group. So there’s a lot of diversity in terms of food, culture and entertainment to be found. Veriga is popular for its old churches, most especially its cathedrals. St Peter’s Church is one place you must not miss out on while visiting this area of Riga. St Peter’s Church belongs to the Evangelical Lutheran church of Latvia, and its history dates back to the year 1209 during the Gothic and the Baroque periods. The final period of construction of this church began and ended between 1671 and 1690. The church has a bell that plays Latvian folk melodies. Visiting St Peter’s church is fun; it’s more recently been equipped with an elevator that will allow you view the city of Riga from 72 meters above the ground. Jurmala is a beautiful sea-side suburb of Riga that can be accessed through a sub-urban rail or through the highway by car. If you choose the sub urban rail, you should be in Jurmala in 30 minutes, and 20 minutes if you take a car through the highway. Jurmala is one of the most beautiful places where you can rent an apartment while visiting Riga. Jurmala is a resort town; it is the right place for securing the best hotel accommodation or even alternative accommodations rather than a hotel stay. Some of the apartments you can find in Jurmala include detached houses, semi-detached houses, loft type apartments, as well as 2-6 bedroom apartments for rent. Buying a home in Jurmala doesn’t come very cheap; homes may go for between 100,000 and 500,000 euros or more depending on the facilities. Riga is a wonderful city to visit, or live. The peace and tranquility that exist in this wonderful medieval city cannot be compared to any other city in Europe. It is believed that Latvia itself will become the culture capital of Europe by 2014 because of its exceptional cultural background and landmarks. With less than 700,000 residents, there is enough space for you to live, work and grow in this fast growing European city. Riga remains the economic and financial Hub of the Baltic States, and the city contributes more than 50% of the total GDP of Latvia. All signs point to the city being one of a kind, and it’s a great time to check it out. You can find and compare prices of apartments in Riga online before planning a trip, and set yourself up for a truly unique experience.